With a firm ethical grounding and a desire to satisfy even the fussiest of eaters, Ninjō's mission is to provide freshly prepared, health conscious meals that satisfy the heart, soul and stomach. 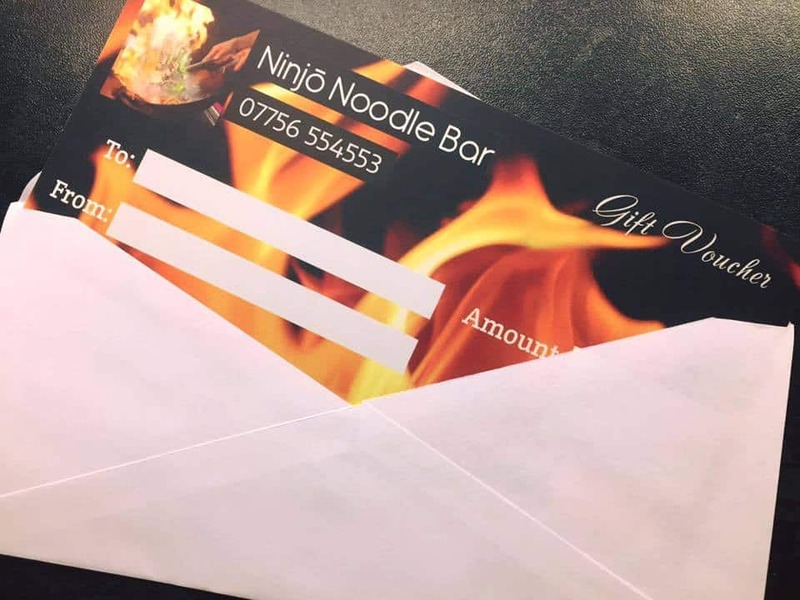 From our small gazebo and home built cooker to our Ninjō noodle van, we've never stopped focussing on what we do best - providing the best quality and best value noodles in town. Our simple menu has everything you need to build a box of noodles fit for a king or queen. Prepared with freshly chopped veggies and a range of tasty extras and home made sauces. Compliment your noodle box with a selection of premium soft drinks and complete protein cookies.